Substance editor George Schmidt died at home on Sept. 17 after a brief battle with lung cancer, complicated by a series of strokes. He was 71. A ketch of his career, along with visitation and service information, is published in the Chicago Tribune and the Chicago Sun-Times obituary pages. The death notice will run Sept. 18 - 20 in the papers' print pages, as well as online. 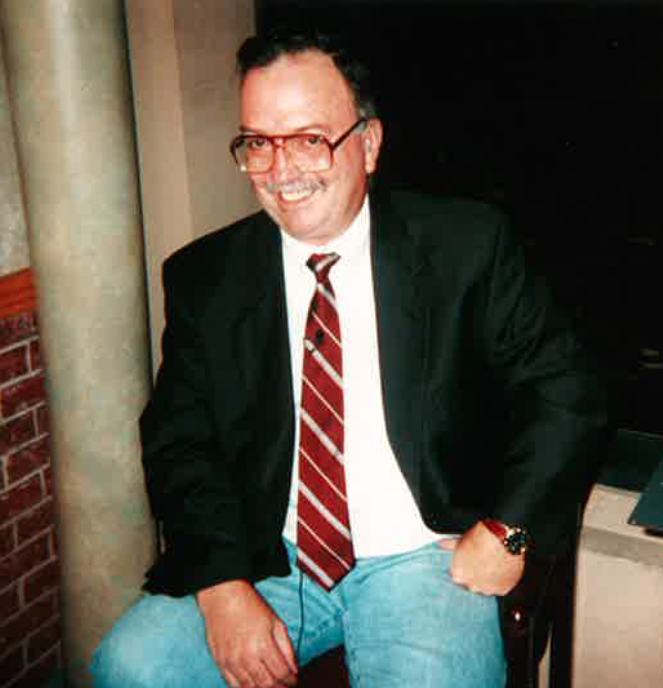 George Schmidt poses before an interview with CNN in 2001. Photo by Sharon Schmidt.In addition to the visitations and funeral service (information listed below), there will be some other events for friends and family members to celebrate George's life, details still being worked out. These include a graveside service at Mt. Hope Cemetery in Chicago and Substance meetings at the Schmidt home for staff members. Thursday, Sept. 20 from 4 to 9 p.m., or on Saturday, Sept. 22 from 1 to 2 p.m., at Mt. Olive Church, 3850 N. Tripp, Chicago. Loop Church pastor Mark Brouwer will lead a funeral at 2 p.m.. on Saturday, Sept. 22, in the Mt. Olive Church sanctuary. Substance urges anyone who wants to share a story or any kind of testimony of George's work to send it to us for publication. We will be publishing these next month, along with a more complete story of George's life. Please send your story to Georgeschmidtstories@gmail.com. I will miss you my brother. You are wise and a stallworth. One day I hope to be as strong as you.